Recovery InSight, Inc. is a growing behavioral health provider of mobile peer support services in Lancaster County and Lebanon County. Recovery InSight, Inc.’s mission is to be involved in the process of making positive changes in people’s lives by providing support with the highest integrity and compassion to individuals working toward recovery, by individuals in recovery with similar experiences. Our vision is to focus on the person and not the illness. We are accepting employment applications for Part-Time & Full-Time Certified Peer Specialists covering Lancaster County and Lebanon County. Follow best practices to provide peer support services that foster supportive relationships with individuals involved in the peer support program. Demonstrate an understanding of the recovery model and serve as a role model for people with serious mental illnesses as well as co-occurring disorders to find meaningful lives in the community. Share personal experiences of recovery to offer hope and optimism to individuals that recovery is not only possible but probable. Contribute to the development of a culture of recovery with mutual respect while building trusting relationships with shared responsibilities. Support peers in identifying strengths, developing recovery skills and implementing an individualized plan and goals. Work with team to assist individuals in their recovery and community integration process by collaborating with other supportive service agencies and providers. Exhibit ethical decision making and adhere to appropriate boundaries. Recognize, respect and accommodate differences and protect confidential information. 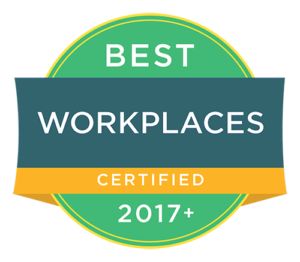 Founded in July 2010, Recovery InSight, Inc. is proud to be an Equal Opportunity Employer and certified as a Best Workplace 2017. Please complete an employment application to be considered for this unique opportunity.